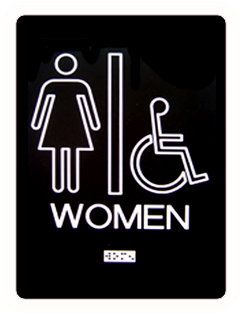 Flamingo Plastics takes pride in producing the best quality engraved products available. We are a family run business with a good old-fashioned commitment to excellent product quality, and fast, friendly, professional service all at a fair price. We are a family run business with a commitment to manufacturing a quality product at a fair price. 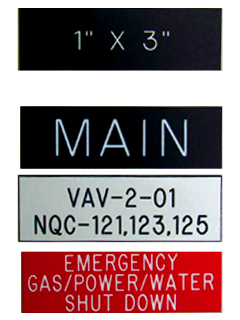 If you are looking for QUALITY phenolic labels and instructional signs that are FAST and AFFORDABLE, you have arrived at the right place! 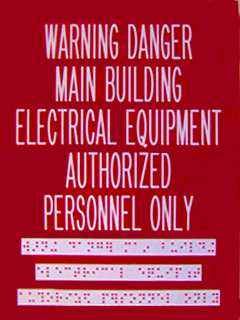 We have dozens of symbols that meet all ADA requirements. 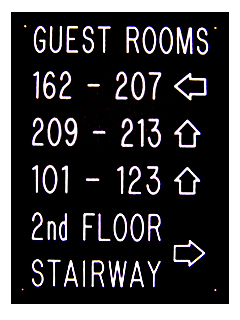 Our Braille is Grade 2, making 1/32" raised buttons, and meets most building code requirements. For more information about Flamingo Plastics or for help placing an order, call us today at 352-628-5158 or click here to contact us today!